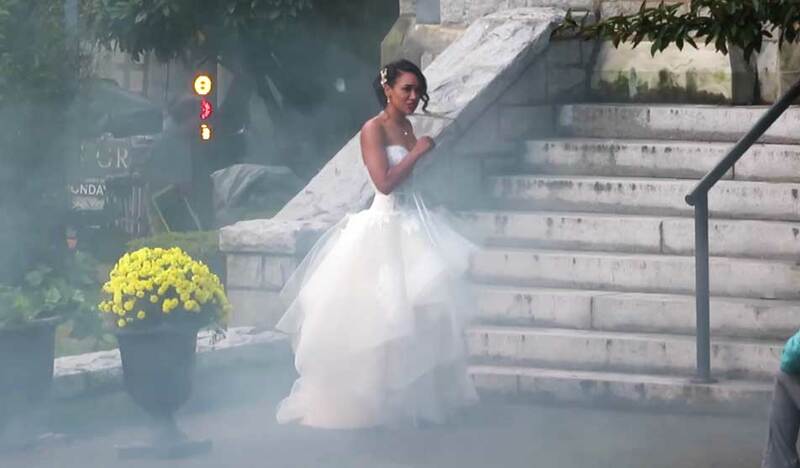 IrisWest, played by Candice Patton, was pictured in a wedding dress as she headed to get married to Barry Allen AKA The Flash! 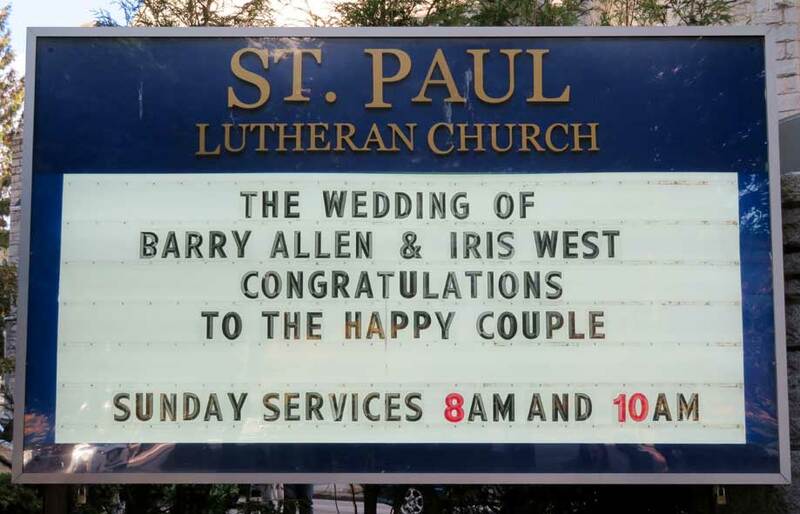 But things did not go well even though the sign outside the church even stated: “The Wedding of Barry Allen & Irish West Congratulations to The Happy Couple” – which wasn’t lived for too long! 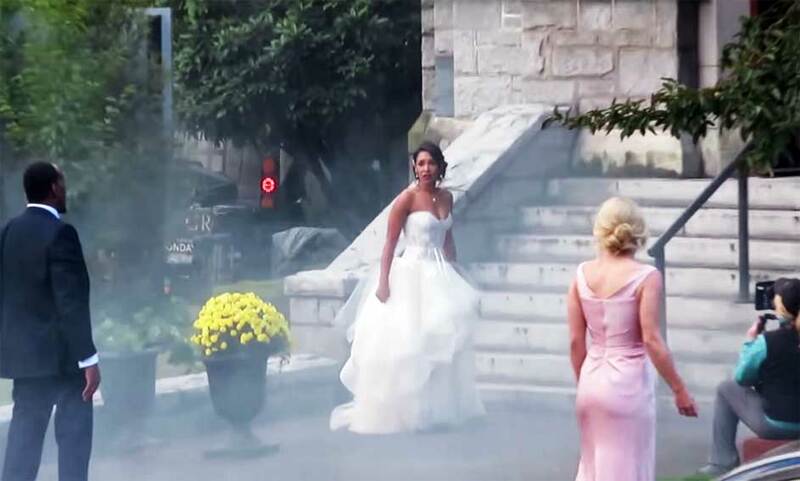 During the ceremony flashes and smoke were seen coming from the Church and Iris West was seen ushering guests away from the explosion and smoke. 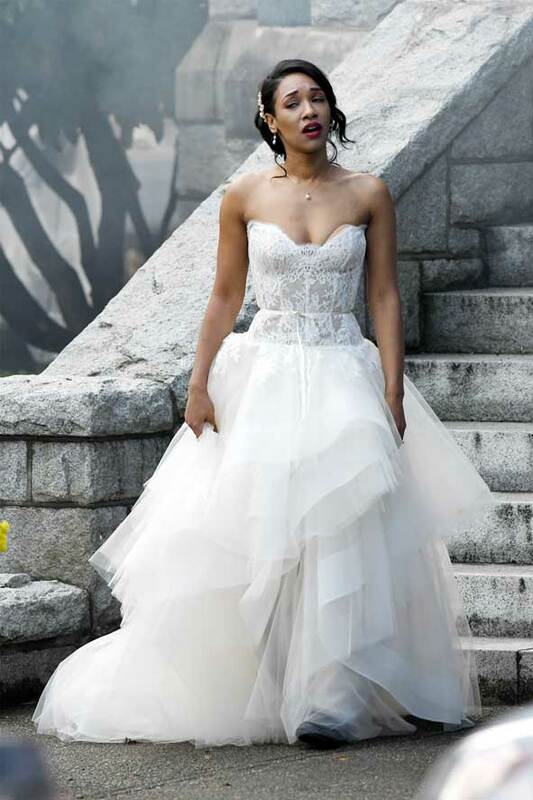 Iris then stood there in her beautiful white wedding dress looking way up into the sky. 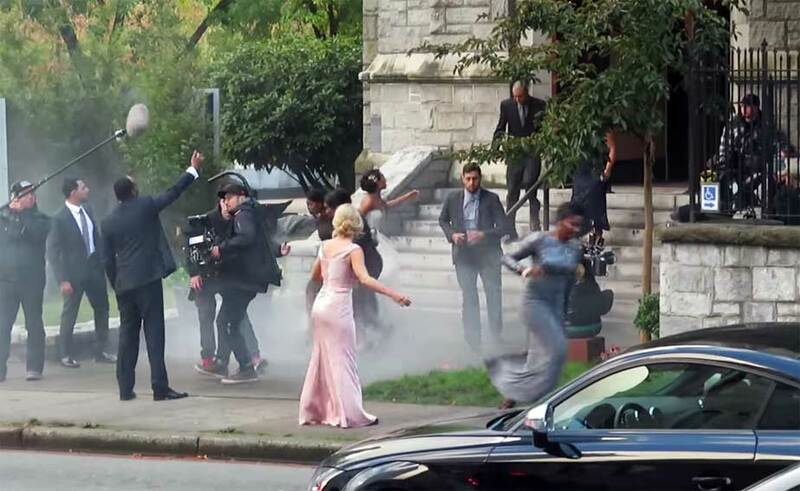 We’ve no idea if they got married or what happened to Barry Allen, played by Grant Gustin, as guests were seen fleeing from the building. Supergirl was even in attendance! 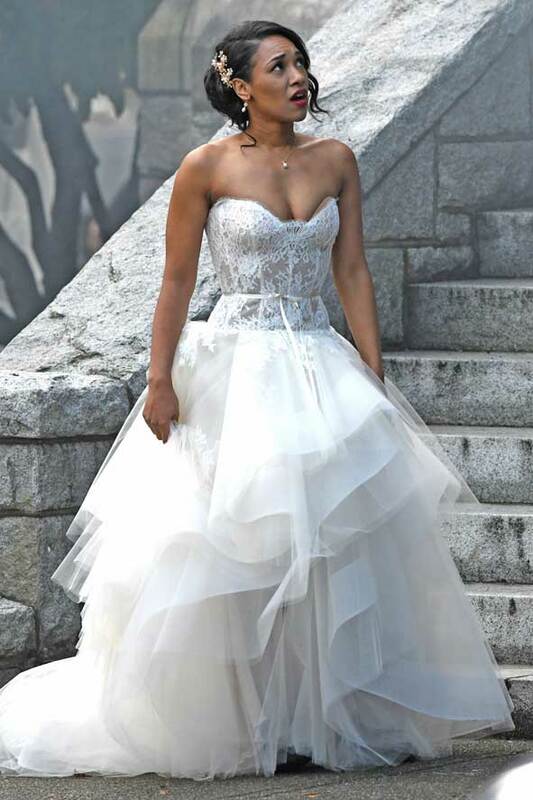 She was spotted swapping her iconic superhero costume for a pretty pink dress as she attended the wedding of Barry Allen AKA The Flash and Iris West! To re-cap, Barry Allen was spotted kissing Iris West in Season 4 Finale of The Flash. He was seen saying goodbye to friends before walking off with a mystery redhead while his on-screen girlfriend was in tears. PICS: SPOILER ALERT! 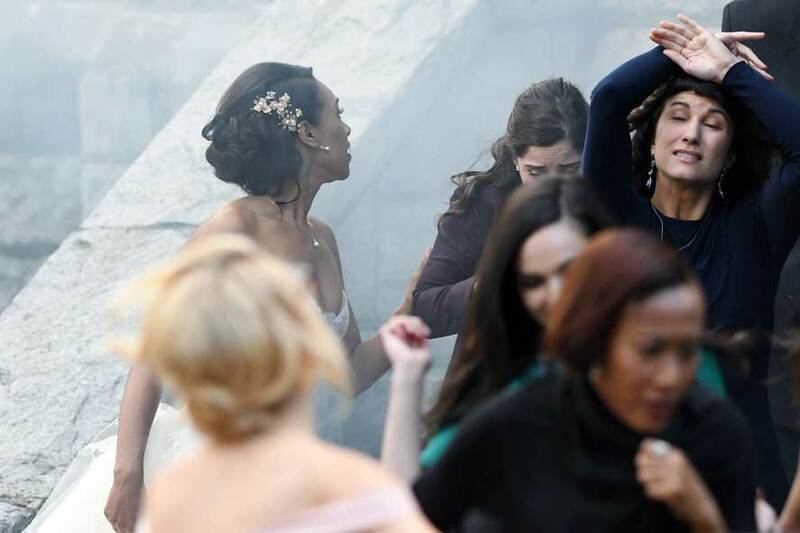 Supergirl Attends The Flash’s Wedding To Iris West In Season 4! Melissa Benoist AKA Supergirl AKA Kara Zor-El was joined by Alex Danvers, played by Chyler Leigh, outside the steps of St. Paul’s Lutheran Church Church. 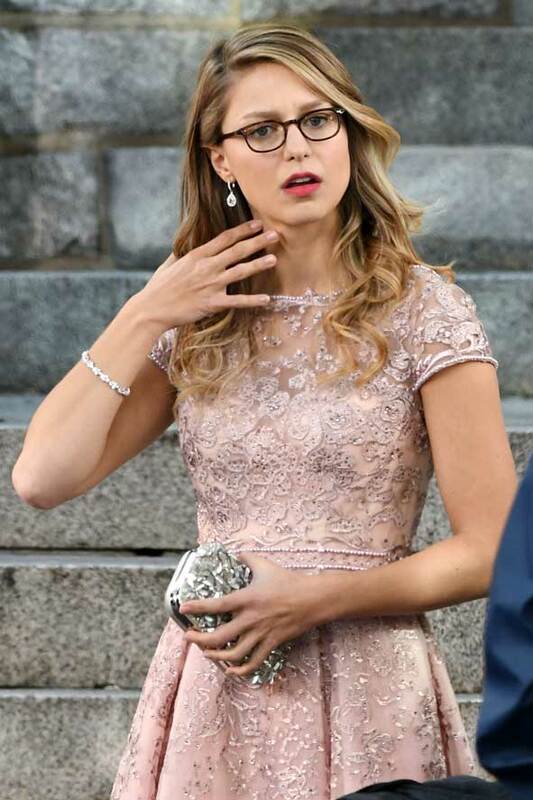 Supergirl / Kara Zor-El matching her glittering silver crystal with red lipstick, black framed sunglasses, and a matching pink sparkly clutch handbag. The Flash Trivia: John Wesley Shipp played The Flash in the 1990 TV Series and now he plays Barry Allen’s father, Henry Allen in the CW show!